In this episode of Leading From Behind, we examine solution focused conversations with mandated or involuntary clients. 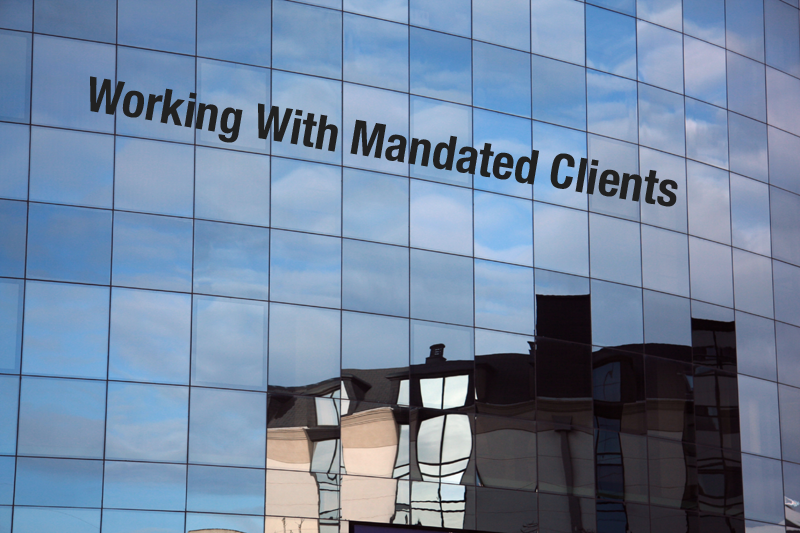 For the purposes of this discussion, we describe mandated clients as people who attend sessions reluctantly and who may have little or no agreement with the referral source's description of the problem. In addressing this subject, we highlight the importance of seeing mandated clients as having expertise about their own lives, and their own good reasons for the adopting the positions they hold. Our role, as solution focused therapists, is to find a place of collaboration that reflects what's important to the client and what might also be important to the referral source. Along the way, we note how focusing on exceptions to the problem can be a useful way of building such collaboration.